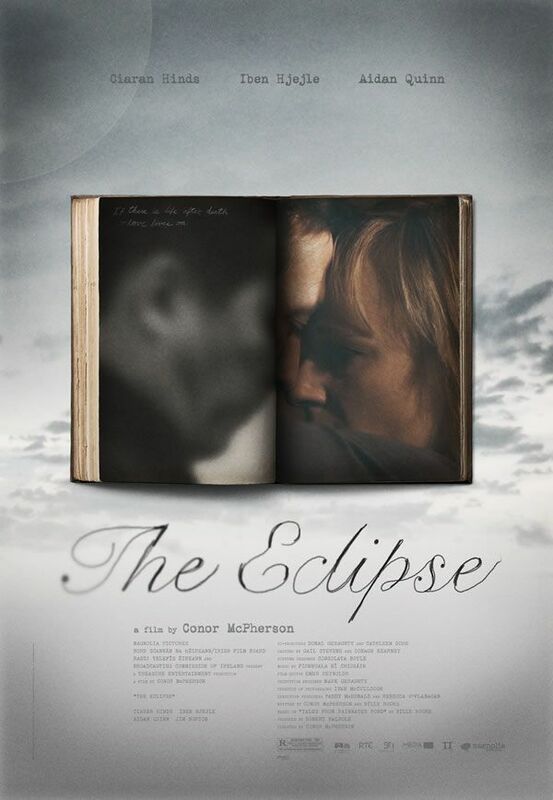 Today, we bring you an exclusive look at the poster for Conor McPherson’s upcoming drama The Eclipse starring Ciarán Hinds, Iben Hjejle, and Aidan Quinn. The film follows the relationship and conflict which develop between a lonely single father (Hinds), an author who writes books about ghosts and the supernatural (Hjejle), and a world-renowned novelist (Aidan Quinn). Hit the jump to check out the full poster as well as the official synopsis. The Eclipse is schedule to hit Video-on-Demand, Amazon, and Xbox Live on February 26th and theaters on March 26th. THE ECLIPSE tells the story of Michael Farr (Ciarán Hinds), a teacher raising his two kids alone since his wife died two years earlier. Lately he has been seeing and hearing strange things late at night in his house. He isn’t sure if he is simply having terrifying nightmares or if his house is haunted. Each year, the seaside town where Michael lives hosts an international literary festival, attracting writers from all over the world. Michael works as a volunteer for the festival and is assigned the attractive Lena Morelle (Iben Hjejle), an author of books about ghosts and the supernatural, to look after. They become friendly and he eagerly tells her of his experiences. For the first time he has met someone who can accept the reality of what has been happening to him. However, Lena’s attention is pulled elsewhere. She has come to the festival at the bidding of world-renowned novelist Nicholas Holden (Aidan Quinn), with whom she had a brief affair the previous year. He has fallen in love with Lena and is going through a turbulent time, eager to leave his wife to be with her. But all Lena is trying to do is extricate herself from this mess and just get through the next few days. As the festival progresses, the trajectories of these three people draw them into a life-altering collision.